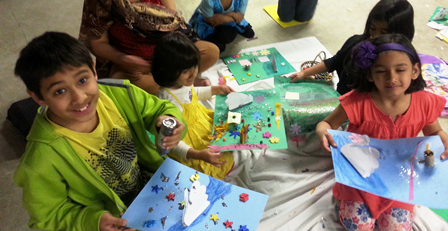 Children are our future. Hence it is very important to impart to them our Vaidic Sanatan Dharma and Hindu Sanskaras and culture. Sanatan Dharma is not a religion, a faith or belief. It is a way of life which you can relate with your daily life. But to do so you need to understand what Sanatan Dharma is. To fulfill the essential need of this in society and especially in our children, we are offering a Bal Vihar Course for children every Year, mostly during the spring months. 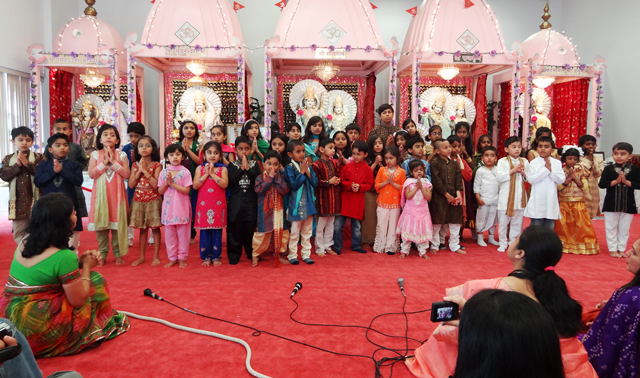 The aim of our Bal Vihar Course is to educate our children in Sanatan Dharma and Hindu Culture. We clarify various concepts of the Sanatan Dharma to remove doubts in their minds and answer all kinds of questions they have. 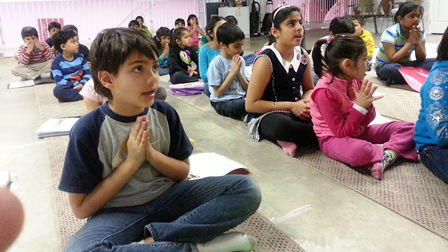 We teach them the Hindu way of life with understanding. If they understand the significance and importance of Dharma, they will follow and live accordingly. 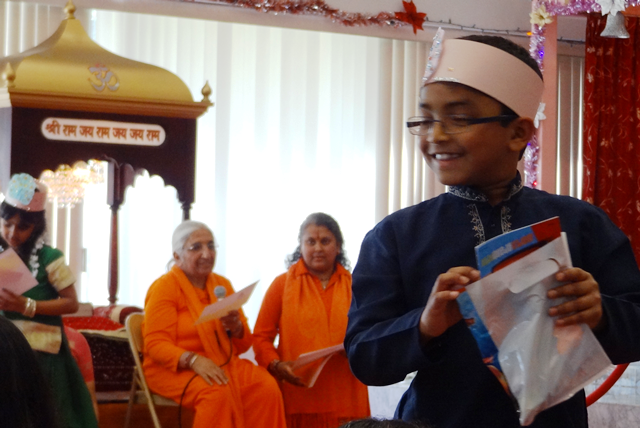 Click on the Videos below to watch our Bal Vihar children giving presentations of what they have learned.